Wonderful things happen when great varieties collide. Shiraz (or Syrah to francophile wine lovers) and Cabernet Sauvignon are two grapes that go hand in glove and fit perfectly together as a red wine blend. Just take the wine in my glass. Its palate is strapping and fiery with heaps of blackberry compote flavours and hints of liquorice, mocha and cinnamon that run into a slightly smoky finish with a twist of freshly crushed peppercorn. The vinous tandem of Shiraz and Cabernet is really an Australian classic. In fact, winemakers from Down Under have been shipping it to other parts of the world since the 1880s. The blend garnered praise in the 1950s and has since become so popular that it’s hailed as ‘The Great Australian Red’. I wish you could take a sip of my deep crimson red so that you would intuitively get why this combination works so well: this style of wine is all about texture, poise and generosity. It pulls and pushes with power and elegance like the play of night and day. A reverent but full-fruited approach flows into a suave richness leaving you wanting more. When done well, the combination of Shiraz and Cabernet brings out the best of each variety. Once bottled as one, the whole is greater than the sum of its parts. The marriage of different ferments creates a whole new wine. But, although it’s an Aussie institution, Australia cannot take the credit of having invented it. As early as 1865, French scientist and oenological adviser Jules Guyot told winemakers in the Provence that their Cabernet Sauvignon wines would benefit from the addition of Shiraz. It appears that the recommendation was not taken up with gusto. And, the country’s strict appellation contrôlée laws that came into force later prevent this practice from being widely adopted in France to this day. Convention has not stopped winemakers in other parts of the world, though. Nowadays, producers in the US, South Africa and Chile are trying their hand at the mix that Australia championed, and there are equivalents found in Lebanon, Israel and some warmer regions of Europe, too. In fact, the toothsome interpretation I have been describing rather joyously all along is none other than Malta’s very own Shiraz Cabernet blend made from Malta-grown grapes by Malta’s award-winning winemaker Matthew Delicata. 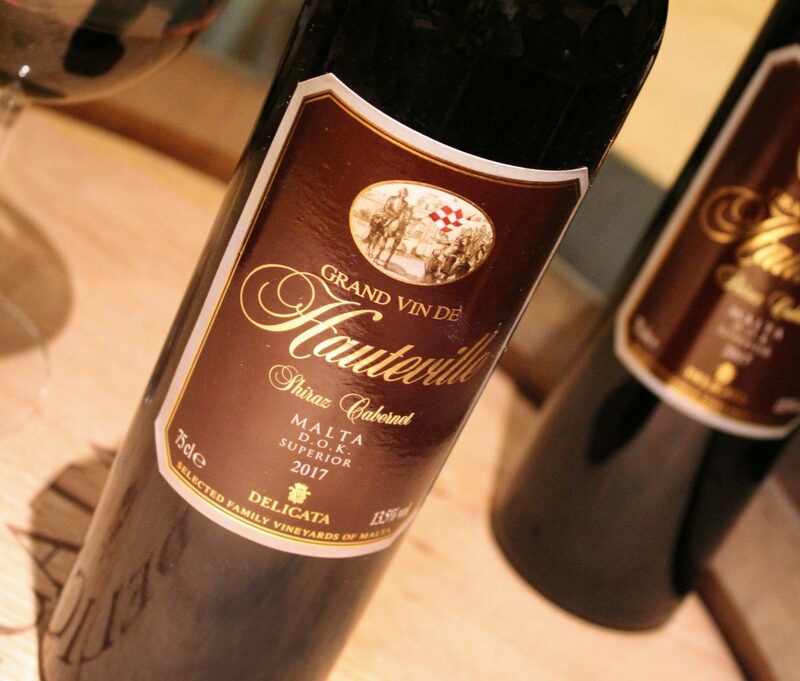 The Delicata winery has been bottling this dry, oak-aged red every consecutive year since the 2004 vintage and you will find it behind their top-of-the-line Grand Vin de Hauteville label. The latest 2017 vintage has just been released for sale. It sings as soon as you pull the cork but will benefit from cellaring. The base wines were blended together at an early stage to guarantee a harmonious outcome and the wine has been judiciously matured in barrique to add firmness. The vats have been used to particularly adroit effect, adding complexity and a touch of delicate spice and toast in the finish. If you seek a serious red wine dominated largely by Shiraz which offers a unique spicy suppleness while maintaining the stoically strong backbone of Cabernet Sauvignon, look no further. Delicata’s Grand Vin de Hauteville Shiraz Cabernet DOK Malta is also a great food companion. My top three favourite matches are char-grilled T-bone steak topped with dried tomato and garlic butter, turkey with mole poblano (a Mexican sweet chili and dark chocolate-infused gravy) and Portobello mushroom burgers. Bravo to Matthew Delicata for his 100 per cent home-grown interpretation of the long and legendary blending tradition of Down Under. This article by Georges Meekers first appeared in Times of Malta on 14 September 2018.